Remove the Ban on Undocumented Students. 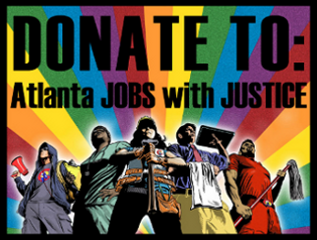 Atlanta Jobs with Justice supports the campaign to remove the ban that prevents undocumented students from attending 5 prominent public colleges in Georgia. Education is a human right. I hope this letter finds you well. I write to convey the Georgia Undocumented Youth Alliance’s request to appear before the Board of Regents, at the meeting scheduled for November 8-9, to propose that the Board re-address Policy 4.1.6. We would appreciate a response by Monday, October 31. Please address all correspondence to Allie McCullen, PO BOX 49706, Athens, GA 30604, and all electronic correspondence to a.mccullen@gmail.com. JOBS NOW! Press Conference and Rally. JOBS NOW! Coverage and Report Back.